Now that its legal dispute with Proview Technology over the iPad trademark is done and settled, Apple is free to sell the world's most popular tablet in the world's biggest market: China. And that's exactly what the company plans to do. 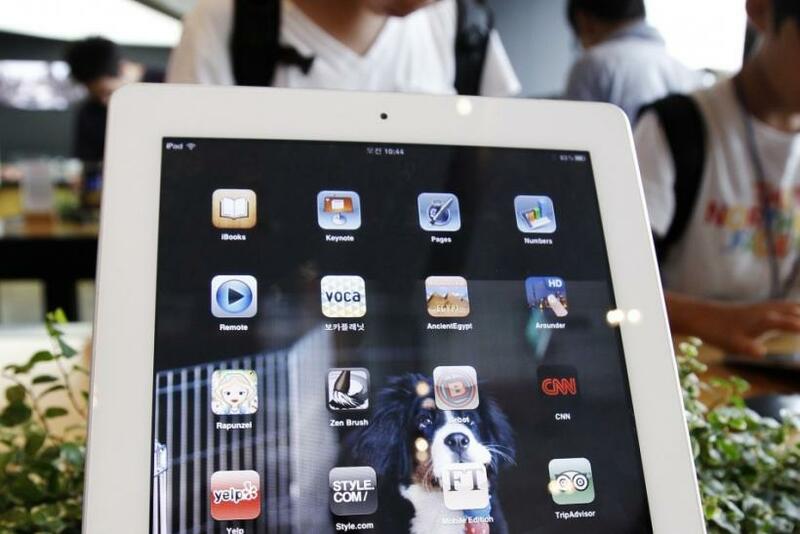 Apple announced on Tuesday that its third-generation iPad, also known as the new iPad, or the iPad 3, will finally be released to Apple Stores in China on Friday, July 20. Apple will sell the iPads in black and white at the same U.S. retail price: Wi-Fi-only models will cost $499 for 16 GB, $599 for 32 GB, and $699 for 64 GB of storage. Apple will also sell Wi-Fi + Cellular (no longer Wi-Fi + LTE) at $629 for 16 GB, $729 for 32 GB, and $829 for 64 GB of space. Chinese customers will be able to reserve their iPads via the Apple Online Store and through a number of select Apple Authorized Resellers. Reservations will begin on Thursday, July 19, and they'll be accepted for next-day pick-up from 9 a.m. to 12 p.m. Given the introduction of the new iPad, Apple has also decided to slash the price of its previous generation iPad, the iPad 2, down to $399. The new iPad, which was unveiled back in March, features a 5-megapixel iSight camera, a battery that boasts about 8 to 10 hours of battery life (including 9 hours on 4G), and a dual-LED backlit system that powers an 2048 x 1536 true HD Retina Display that displays a whopping 3.1 million total pixels. The display features 44 percent greater saturation of colors than its predecessor, and but while Apple's new dual-LED solution makes the iPad's screen noticeably brighter, battery consumption and heat remain to be somewhat of an issue. The new iPad runs on a dual-core A5X chip with quad-core graphics, which powers the high-definition graphics evident in the brilliant Retina Display. The new iPad can also act as a personal hotspot for hosting up to five devices, and it's also 3G world ready, meaning the iPad user can roam around the world and pick up 3G with no problems. Apple originally bragged that the new iPad was the first iOS device to feature the high-speed 4G LTE network, but while the iPad runs well on the LTE networks on AT&T and Verizon Wireless, many other countries' radio bands simply aren't compatible with the tablet. This is why Apple needed to change the way the iPad was being advertised in other countries back in April. Regardless, even without 4G LTE, the iPad is an incredible device. Everything looks gorgeous, from perusing websites to watching movies and scrolling through images. When you add intuitive gestures into a device with such a brilliant screen, it really feels like you're touching your documents. Your notes. Your videos. The Internet. It's a great feeling. iPad 2 owners won't be disappointed with their tablets, but the new iPad is worth the sticker price just for the Retina Display experience alone. Yes, it's a battery hog, and while it's not perfect, there are plenty of great accessories to make the iPad greater than the sum of its parts. It's thin, it's lightweight, and yet in many ways it's more powerful than a laptop. Users that want the experience of holding high-quality videos and images in their hand will love this device.